Boban Markovic is the King of Gypsy trumpet. His first appearance, at London’s The Barbican in 2003, found him selling out the main hall and turning that formal concert theatre into a raging dance club. Boban has gone on to win The Golden Trumpet award at Serbia’s annual Guca Brass Band Festival more times than any other musician. He took to trumpet and by fifteen was a professional musician. By his mid-twenties he was amongst Yugoslavia’s finest. By his mid-thirties he was the King of Balkan brass, a trumpet player whose fame meant he existed as a single name celebrity. 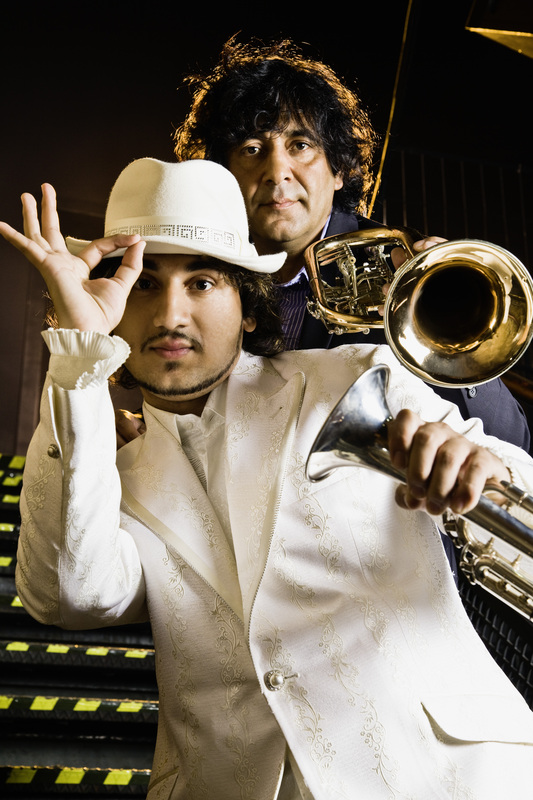 Balkan brass offers wild adventures in sound, Gypsy grooves so strong in spirit and technique they remind us that in the West jazz is now ‘lifestyle’ and funk has dissolved into formula. Thing is, Balkan brass is no mere replication of Western forms, instead it’s a sound shaped by the cultural clashes thrown up in the lands where Europe meets Asia, an indigenous Balkan blues given beautiful symmetry by the genius of Gypsy musicians. Boban has contributed to the soundtracks of (and appeared in) Emir Kusturica’s award winning films Underground and Arizona Dream. Boban’s signed to Piranha Records (Berlin) where he has released 3 acclaimed albums: Live In Belgrade, Boban I Marco and The Promise (produced by Ben Mandelson). Across Europe and North America Boban Markovic is recognised as a trumpet master, a man who drags notes out of his instrument others can’t find while leading a 12-piece band who create a carnival of sound.